We all do things our own way. But although these differences help define an organisation’s identity, they can cause problems when we work together. Beep! On 26 June 1974, a packet of chewing gum became the first barcoded product to be scanned in store. Today, barcodes play a crucial supply chain role, ensuring products hit retail shelves at the right times. We manage the barcode standard used by retailers, manufacturers and suppliers. If you want to put a barcode on an item that can be scanned anywhere in the world, you need to talk to us. But although our story started with the barcode, our standards have evolved to reflect and influence the world in which we live and work. They boost efficiency in many sectors, from retail and health to transport and logistics. Always working for our members, we’re opening doors and driving down the costs of doing business. Gs1 introduced the barcode in 1974. We are a global, neutral, non-profit standards organisation that brings efficiency and transparency to the supply chain. Our standards are proven by industry and can help you achieve your public policy goals. Designed by consensus, our standards are proven, open and benefit from collaboration with respected global companies as well as local SME's. 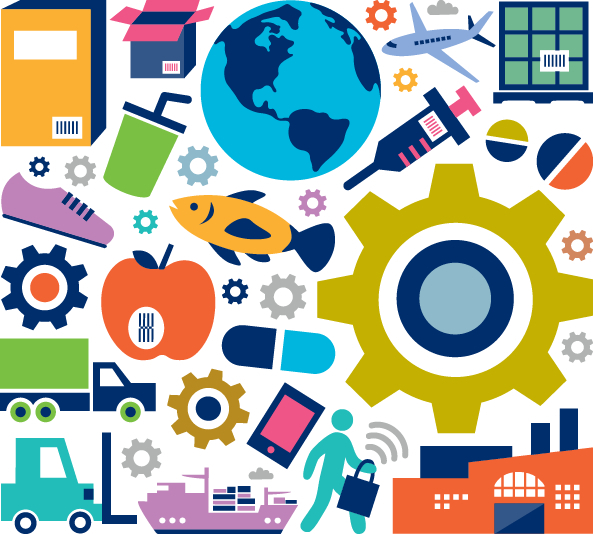 GS1 tools help organisations exchange critical data - from manufacturing all the way to the consumer - creating a common language that underpins systems and processes all over the world. GS1 is engaged with governments across multiple sectors and geographies. We work with organisations of every size. Over a million are part of GS1 — from international household names to small, local businesses. GS1 is funded and governed by its members, so everything we do is in their interests. We offer a dynamic and challenging job with career possibilities in a growing organisation. A worldwide scope of action. Competitive salary and benefits.